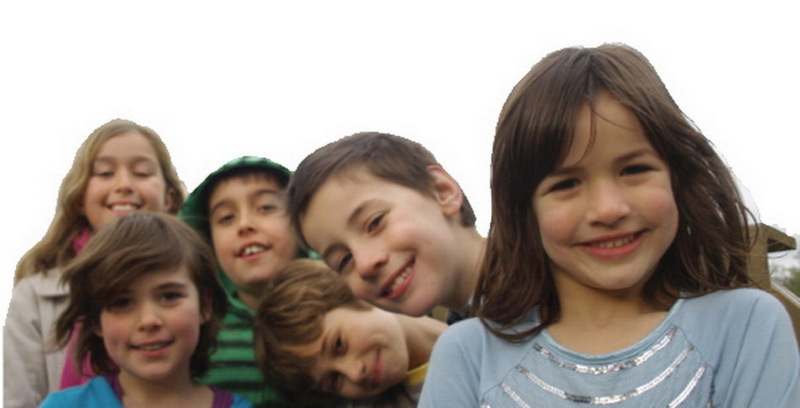 HSC spent the next two weeks phoning local schools to update our 2009 work which showed the wave of children coming through local primary schools. This information has been collated into a report - High School for Coburg Interim Schools Data Collection Report, October 2011 which you can read by clicking on the link. In January 2011 the General Manager of the Partnerships Division of the Office for Government School Education, DEECD wrote to HSC at the behest of Minister Dixon. (read letter here). This letter outlined the work which would be done throughout 2011 to look at secondary provision options in Coburg. HSC believe that this year the Partnerships Division came to the view that HSC have a very strong case and that the Coburg Senior High site is the best provision option but it has been hard to move the process forward, partly due to departmental restructures and the turnover of DEECD managerial staff. 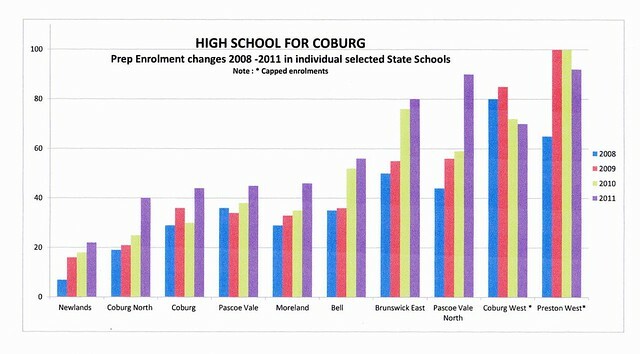 After a call from the Minister's advisor and the subsequent meeting with the DEECD Partnerships Division and the Northern Region, it became apparent that there has been no formal action in the year since the Spatial Vision Report came out showing the significant secondary education provision shortfall in Coburg. Having effectively sat on the report for a year the DEECD has said the report is a bit old now and we could begin a new process based around waiting for yet more numbers. HSC and many other key people involved in the Spatial Vision Report's inception say "What more evidence is needed?" HSC have strongly recommended that the next action be to look at provision options -as per the January letter - in particular the Coburg Senior High site favoured by roughly two thirds of respondents to our survey in May this year. Unhappily we find ourselves temporarily back having the numbers argument but not surprisingly HSC's latest on-the-ground data gathering effort only adds to the avalanche of evidence for the affirmative!